Only 3 months after rebranding the solution to “Acterys” we are very proud to announce the latest June update to Acterys. And it is a big one as you will see. 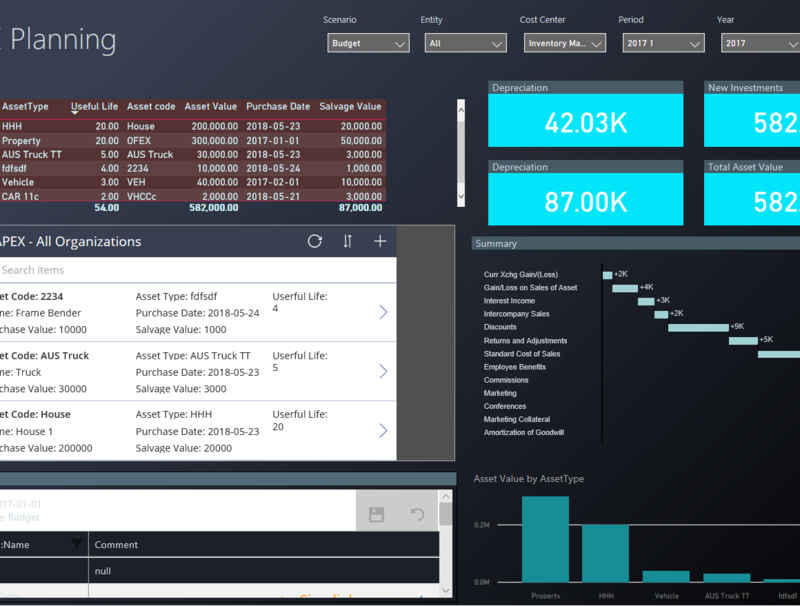 From this point forward, we are also aiming to match the monthly release cycles that the amazing Power BI Team delivers with their solution, a key front end component of Acterys. Changes in the web-based services will be automatically available for all user and we are also aiming to launch auto-update for to the other components Excel Add-in and Power BI custom visuals in the near future so no need for users to run install processes. A key component of enterprise planning are calculation logic and workflows. 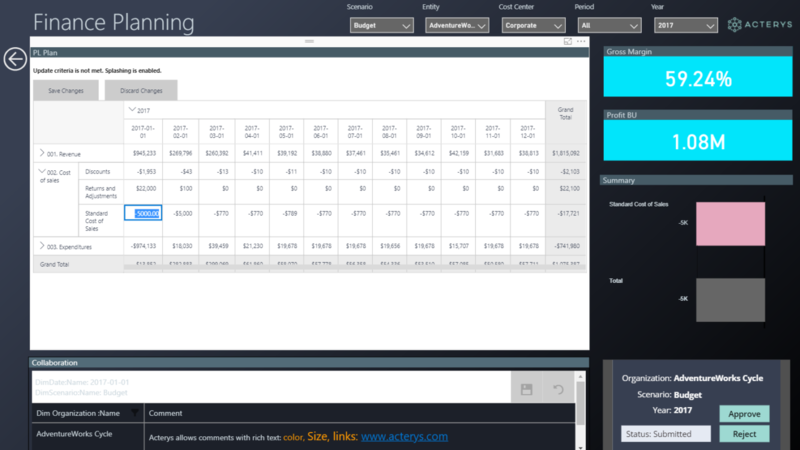 With the latest update we are now including proven templates for a variety of financial planning/budgeting scenarios the Acterys Apps. Theses Apps are based on the native Acterys features alongside Microsoft PowerApps and Microsoft Flow. Reflecting the Acterys philosophy to not re-invent the wheel but make use of proven components already part of Microsoft Office, respectively the Microsoft ecosystem. Apart from reduced cost, this also avoids the need to train for, pay expensive application vendor consultants and maintain proprietary, separate applications for these areas that are never as comprehensive and take much more effort to integrate into daily operational processes. One of the most important and most comprehensive new Acterys Apps is covering the logic for planning human resources. Users can -supported by comprehensive search functionality- easily maintain all relevant changes and parameters (e.g. oncosts like: 401k, superannuation, payroll tax etc.) for existing employees or plan new hires and roles. The Acterys CAPEX App handles capital expenditure planning. 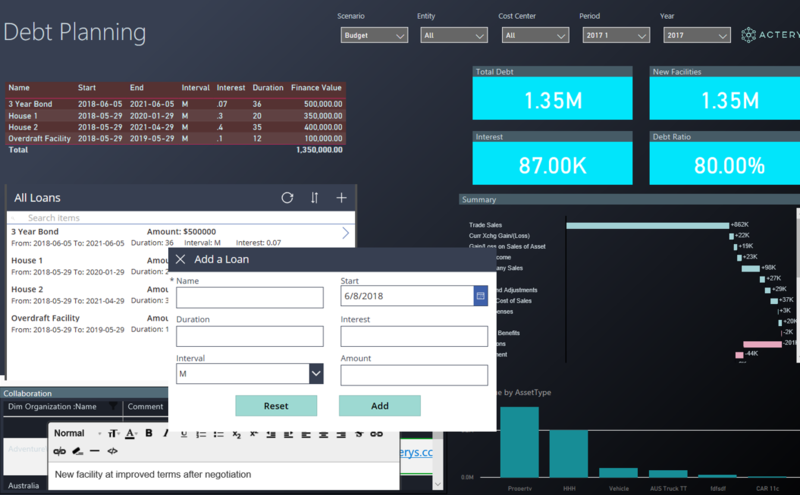 Users can easily add CAPEX items with all relevant parameters and the app automatically calculates depreciation and links General Ledger finance items and Cash Flow to reflect changes. The Acterys Financing App enables the users to manage debt items like loans and bonds. It captures the relevant details, calculates interest and repayments and includes the logic to properly reflect General Ledger finance items and Cash Flow. These Apps at the moment cover the basic logic but can easily be extended and configured as required. They will be improved on an ongoing basis and we are also inviting partners to work together on additional apps that cover specific application logic or industry solutions. Please contact us at apps@acterys.com for further details. The Acterys Modeller is now featuring a much sexier look and includes a new notification area where tenant specific and general Acterys notifications will be displayed. It also includes the new Connectors and improved admin options for managing users and changes under the hood that help business users to work faster and easier with their models. 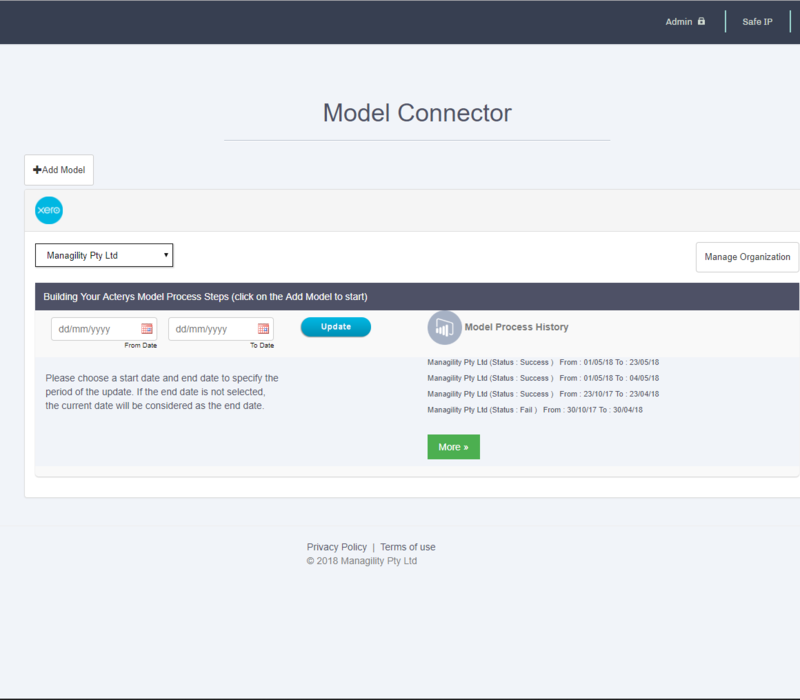 The new release now includes three Acterys Connectors to completely automate the process of generating Acterys models respectively a financial star schema data warehouse based on (Azure) SQL. 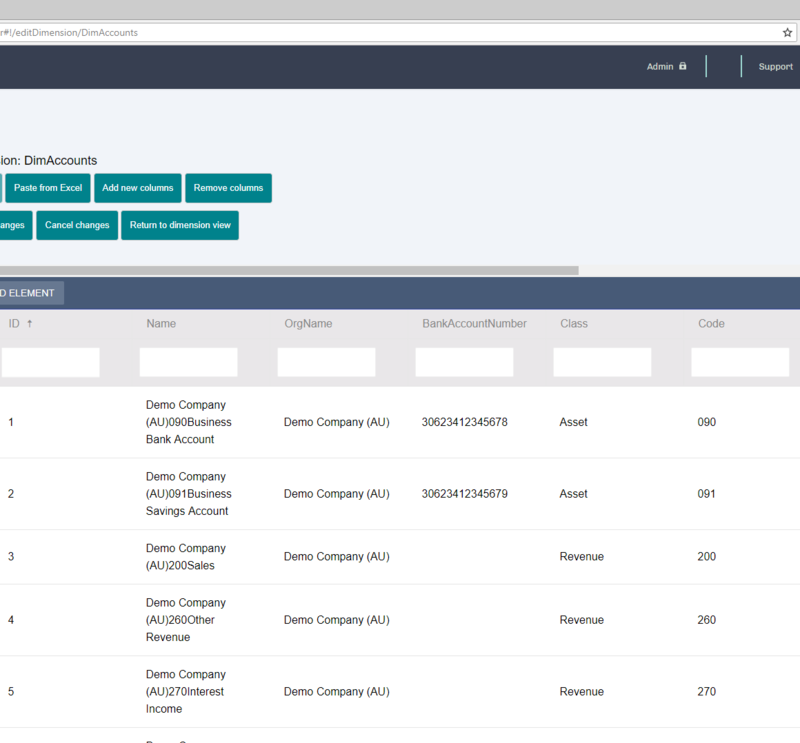 The new connectors allow the users to create models with a click for Xero, QuickBooks and ABC Financials. 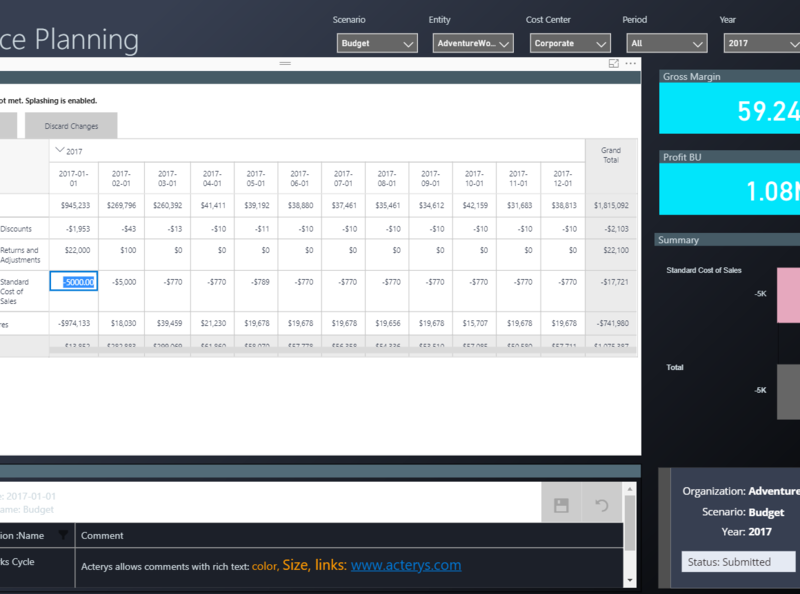 The Acterys June release now also completely automates the maintenance of SSAS Tabular models. Any change in the Acterys model will not just update the SQL model but also the configured (Azure) SSAS Tabular instance. 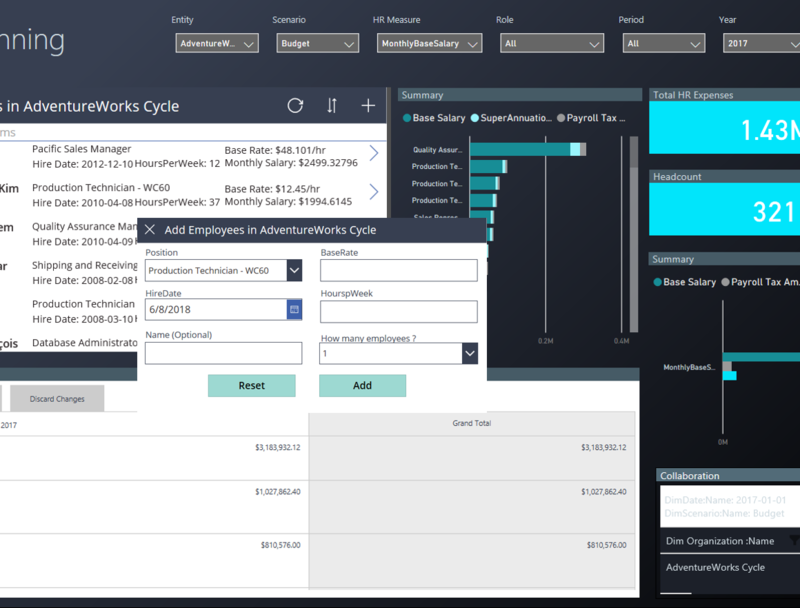 This means that Acterys users can use the full power of SSAS, like central server-based calculations in DAX with all Acterys write back features available directly from their Analysis Services Tabular cube in Excel or Power BI. All this is taking into account detailed “write”(!) rights for SSAS Tabular cubes on the cell level (any DAX rule!) maintained in the Acterys Admin. As always please feel free to contact us for further details.